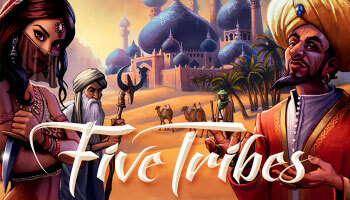 Five Tribes is a logistics puzzle, an action selection and a point salad game. Players have to compete to become the next Sultan. 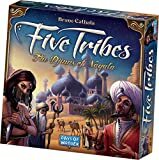 The game takes place in the land of Naqala and you have to maneuver the five tribes to get the most influence over the the Sultanate: various villages, markets, oases and sacred places. The tribes are respresented by meeples in 5 different colors and they can be moved using a mechanic similar like in the game Mancala. Each tribe has a special ability that will give you some sort of power when used and some of the 30 tiles will grant you the ability to evok a special Djinn. The game ends when there are no legal moves to make or when a player owns 8 different city tiles. The player who gained most victory points is the winner. 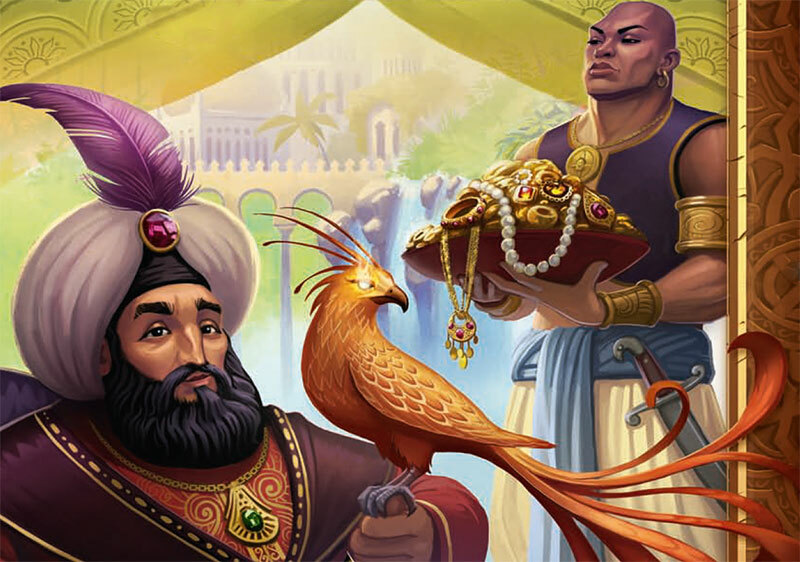 The old sultan just died and control of Naqala is up for grabs! The oracles foretold of strangers who would maneuver the Five Tribes to gain influence over the legendary city-state.